1) Having access to class and level within the inventory screen is helpful for validating items carried. 2) Seeing encumbrance remaining (or over) makes for quick equipment management. 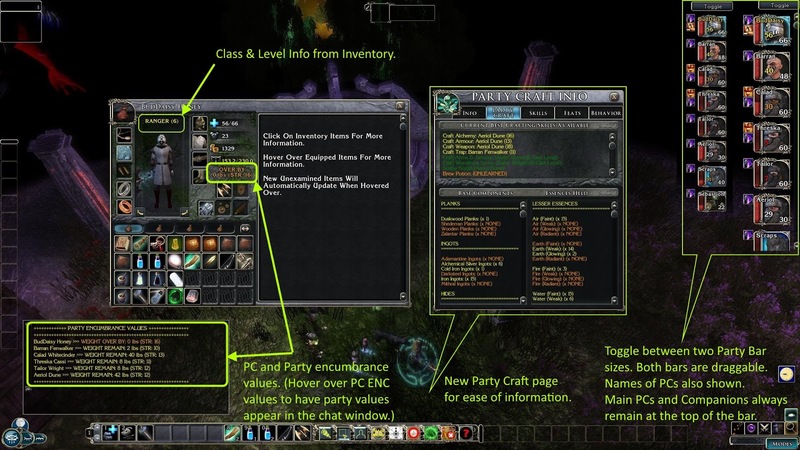 3) The new Party Craft tab enables players to keep track of the crafting skills and items in the party. 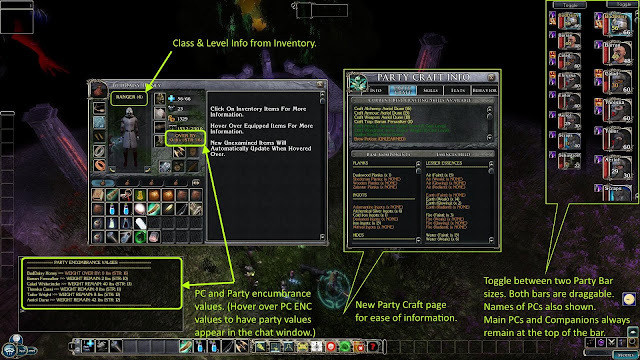 4b) The party bar ( normal or small icons) now ensures the controllable PCs stay at the top of the bar! 4c) Names are also added to the PC boxes to make recognition much quicker and at a glance.